On the one hand it points to the hotel’s proximity to the former border of the Berlin Wall. More importantly however, is the meaning of “Grenzfall” for the daily interaction of people with and without disabilities. This self-image is implemented daily at Hotel Grenzfall: among the employees and the guests alike. And quite consistent with this is the fact that the hotel is accessible in both senses. The staff work according to their capabilities in various areas under specialist and educational guidance. This enables their skills to be promoted and expanded, and they receive a realistic salary for their services. That’s why the hotel’s motto is: Integration is teamwork. 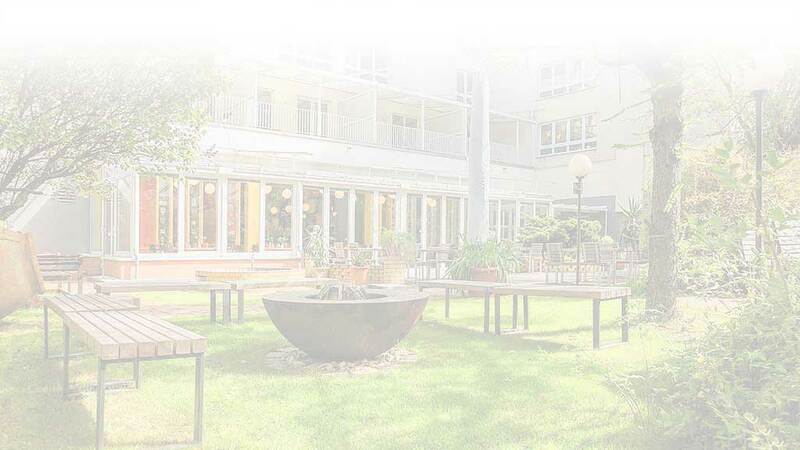 Hotel Grenzfall is situated in a central yet quiet place in Ackerstraße, directly next to the “Berlin Wall Memorial”. It offers the standard and comfort of a modern city hotel, with 36 modern double rooms, a family apartment, an à la Carte restaurant with a large terrace, bar and conference rooms. A unique feature is the large garden that belongs to the hotel. With over 3,000 square meters of space it offers guests the space to retreat and relax. The garden was awarded the Berlin Environmental Award in 1997. The 36 accessible, modern and comfortably furnished double rooms are equipped with a telephone, satellite TV and internet. 15 of them have views over the garden and five rooms have their own balcony. The apartment is 50 square meters in size, consists of two separate rooms joined together and has its own roof terrace. In addition to the à la Carte restaurant our guests have the option to have snacks and drinks in the bistro. The hotel also offers two conference rooms of differing sizes that are equipped with modern technology and cater for all meetings, conferences and all types of parties and celebrations. The hotel operator of the Hotel Grenzfall is the Schrippenkirche e.V, which has been socially active in Berlin for over 130 years. Photo Galery from Hotel, Restaurant and Bistro.